Fallon Confidential: Designer vs. Deal: The Dress for Every Holiday Event! 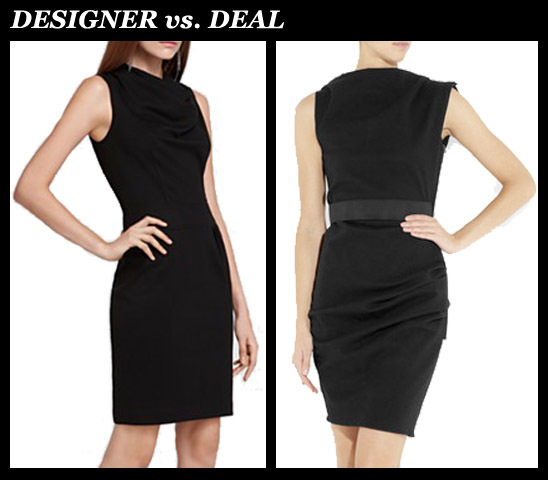 Designer vs. Deal: The Dress for Every Holiday Event! With the holiday parties starting, it is essential to have a go to dress that can easily be accessorized according to the specific event. We love the style of the classic yet chic and modern black dress that will carry you all the way through the holidays! You can dress it up with glitzy jewelry, a satin bag, and feminine pumps or metallic sandals, or dress it down with flats and a classic shoulder bag for less fancy occasions.